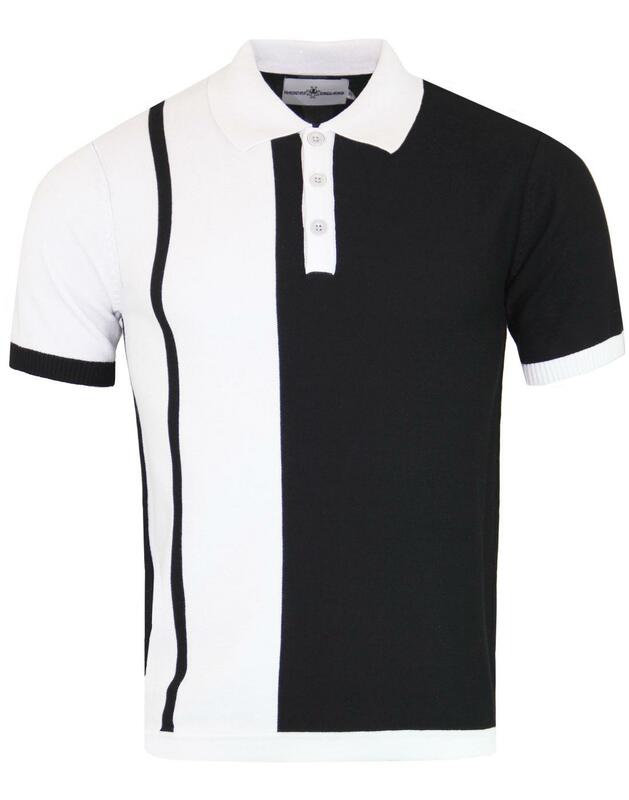 Capone Men's Mod Two Tone knitted polo shirt in black and white. Inspired by the classic Ska checkerboard with split panel cosntruction. Mod fold over collar with 3 button box placket in white. 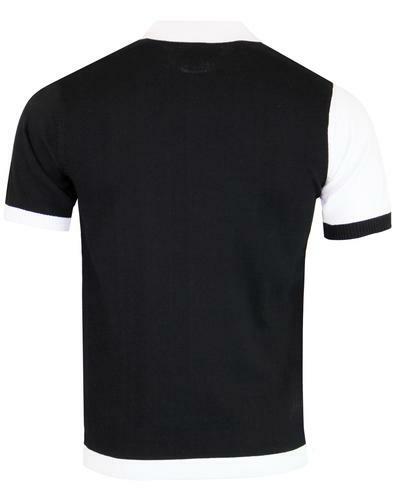 Retro black stripe detail runs down the left side. White cuff on black sleeve and vice versa. 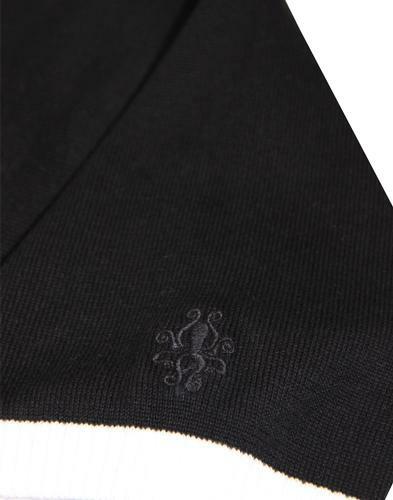 Madcap Englans octopus signature embroidery to left sleeve. Fashion stitch finish to sleeves. 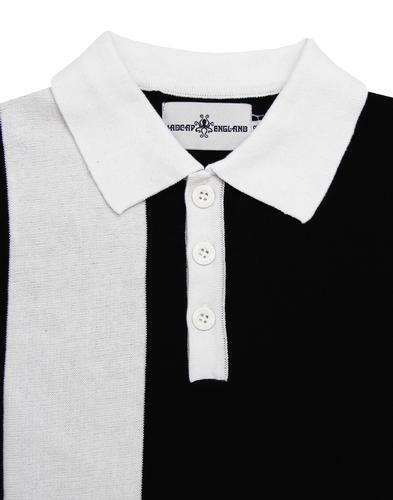 MC355 Capone Madcap England Two Tone Knit Panel Polo Top.